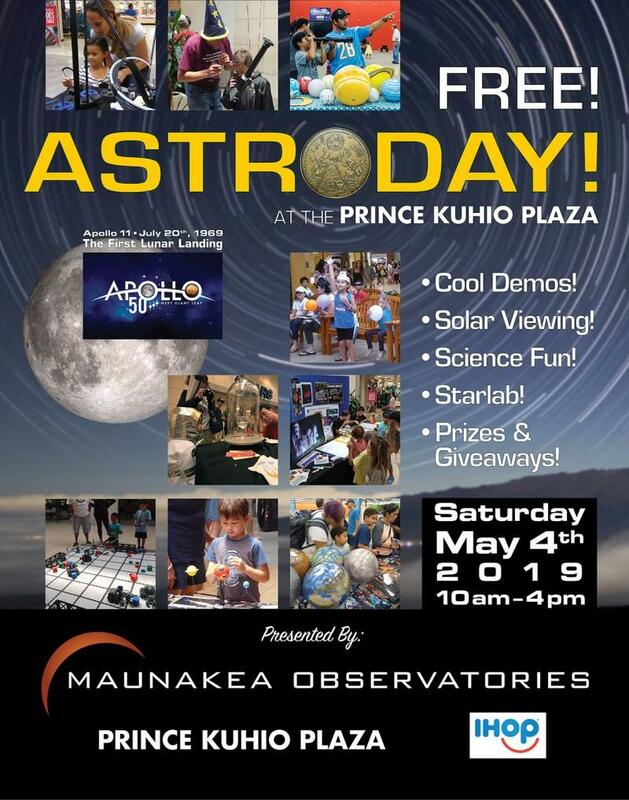 MaunaKea Observatories presents ASTRODAY 2019! This is a FREE event for all ages. Come on down and check out Cool Demos, Solar Viewing, Science Fun, Starlab, Prizes and Giveways! Saturday, May 4th from 10am - 4pm.